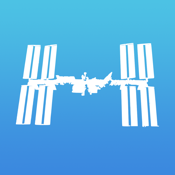 RMH Mobile is an app for viewing medical imaging studies performed at Royal Melbourne Hospital and access is for registered referrers only. 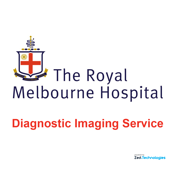 The Royal Melbourne Hospital (RMH) Imaging service provides comprehensive Radiology and Nuclear Medicine services. Over 160,000 inpatient and outpatient diagnostic and therapeutic procedures are performed annually across the following sites: RMH - City Campus, RMH Private Imaging and RMH - Royal Park Campus. The Royal Melbourne Hospital Radiology Department offers for private and public patients a full range of diagnostic and interventional services for inpatients, outpatients and emergency referrals, using state-of-the-art equipment. Diagnostic services include plain film radiography, OPG, fluoroscopy, bone densitometry (DEXA), mammography, colour Doppler ultrasound, computer tomography (CT), angiography and magnetic resonance imaging (MRI). Please contact Royal Melbourne Hospital IT on 03 9342 8888 or helpdeskrelay@ssg.org.au to gain access to radiology reports and images via RMH Mobile.